The Amerock BP55344CBZ Revitalize 3-3/4in(96mm) CTC Pull is finished in Caramel Bronze. Function and a revived spirit of renewed traditionalism meet tailored eclecticism in the Revitalize Collection. Amerock's Caramel Bronze finish has a rich dark brown hue with a hint of burgundy and subtle copper undertones. Revitalize 3-3/4 Inch (96mm) CTC Pull - Caramel Bronze The Amerock BP55344CBZ Revitalize 3-3/4in(96mm) CTC Pull is finished in Caramel Bronze. Function and a revived spirit of renewed traditionalism meet tailored eclecticism in the Revitalize Collection. Amerock's Caramel Bronze finish has a rich dark brown hue with a hint of burgundy and subtle copper undertones. 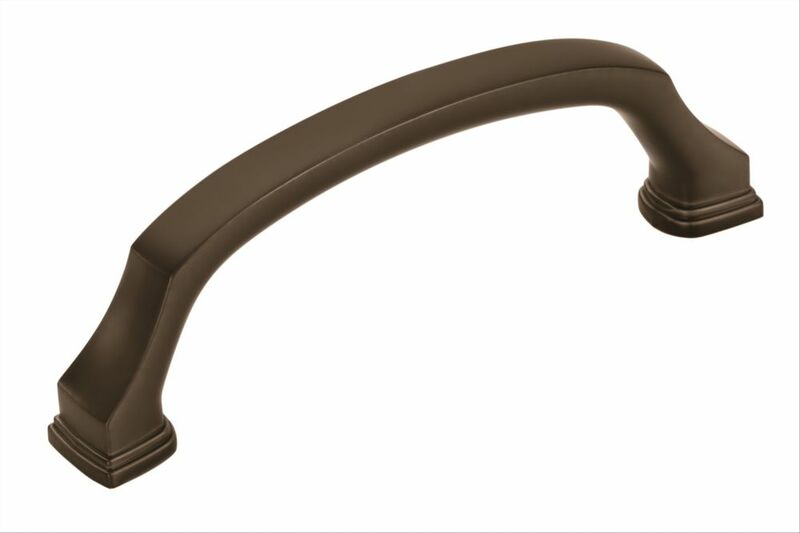 Revitalize 3-3/4 Inch (96mm) CTC Pull - Caramel Bronze is rated 4.0 out of 5 by 1. Rated 4 out of 5 by Bill from We love the look of this line of pulls and knobs. Good depth to keep cabinets clean without touc... We love the look of this line of pulls and knobs. Good depth to keep cabinets clean without touching. Significant flaws in manufacturing had us reordering about 1/4 of pulls this size.